Miss Piper lives with Molly and Jeremy in Idaho. 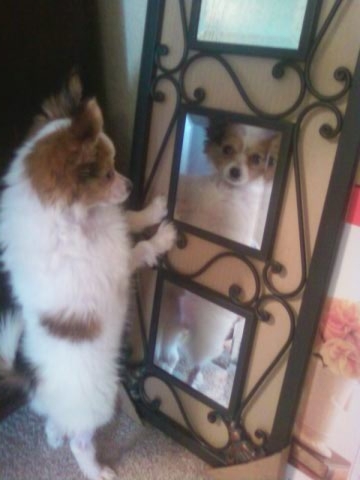 They just happened to catch her admiring herself ... 'I feel pretty. Oh so pretty'! 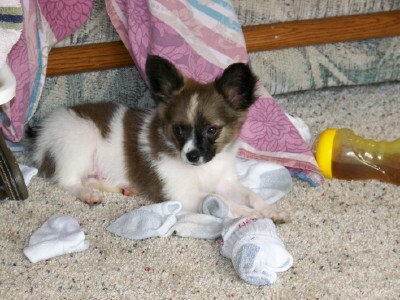 Mocha Joe proves the theory that once you have a Papillon puppy... folding laundry may never be boring again! _ The Papillon ('pappy-yawn') is a small, friendly, elegant Toy dog of fine-boned structure, dainty, light, and of lively action. Papillons are a great little guard dog, warning of strangers, but not biting. They enjoy the entire family, not limiting themselves to one person. They are distinguished from other breeds by their beautiful, butterfly-like ears. Papillons are very devoted to their masters, with a hearty spirit making them desirable for show or perfect companionship. Papillons are hardy and usually long lived. They adapt to almost any climate and are comfortable in an apartment as well as the country. They are good travelers. They love to be with their family. They are friendly, happy and eager to please. 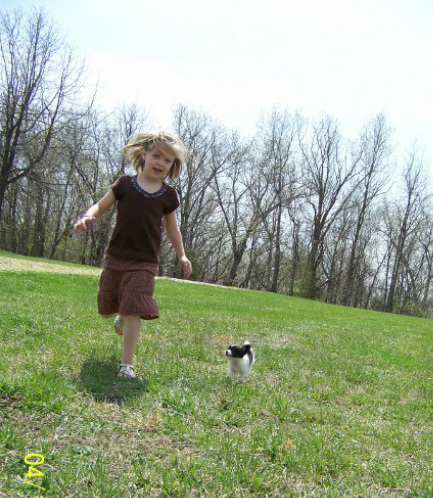 A non-refundable deposit of $200.00 is required to hold your Papillon puppy. I guarantee my puppies for 2 years against any genetic health defects. I accept PayPal, Money Orders and Cash. My grandson and 'Angel' trying the escape route.